OPKIX One: Capture the moments you live in https://www.dronenr.com.au/articles/opkix-one-61/ OPKIX One: Capture the moments you live in – dronenr. The OPKIX One camera is the product from OPKIX Inc. With USD$12 million in funding. Is the OPKIX One the last camera you will ever need? https://www.dronerush.com/5-things-to-do-dji-mavic-air-12741/ 5 things to do with your DJI Mavic Air Got yourself a brand new DJI Mavic Air? Let’s explore some ideas for you, things to do before you leave the house and when you get into the sky with your drone. https://www.dronerush.com/autel-robotics-evo-shipping-june-25th-12846/ Autel Robotics Evo – Shipping date confirmed Autel Robotics Evo has a shipping date. A teaser video for the new folding drone created some hype, cryptically announcing the Evo for a June 25, 2018 release date. https://www.dronerush.com/drone-thermal-cameras-12806/ Drone thermal cameras – More than you can see Whether you need to see in the dark or track down a leak, thermal cameras on drones are a powerful combination. Learn what thermal cameras can do, and which are worth attaching to a drone. 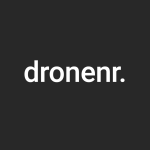 https://www.dronerush.com/dronesense-droneseed-aerial-applications-12990/ Can DroneSense, DroneSeed and Aerial Applications change the future with drones? These three drone companies are working hard to change the future, seeking to handle forestation, disaster recovery efforts and more using flying machines. https://www.dronerush.com/intel-drone-group-gm-anil-nasa-13078/ Intel’s drone group GM appointed to NASA Advisory Council Intel’s drone group GM, Anil Nanduri, gets a new role as a member of the NASA Advisory Council Aeronautics Committee. What’s NASA up to? https://www.dronerush.com/faa-drone-registration-scam-13080/ Beware: FAA warns of drone registration scams There is only one place to register your drone, the FAA. Do not fall for any scams trying to steal your money, register only at the FAA Drone Zone website. https://www.dronerush.com/parrot-anafi-explained-13149/ Parrot Anafi: the vision behind Parrot’s latest drone Parrot wasted no time explaining why and how they built the new Parrot Anafi drone. This folding quadcopter looks promising, but is the lack of obstacle avoidance a mistake? https://www.dronerush.com/public-agencies-drones-13196/ Which states are using drones to save lives? Public agencies around America are taking advantage of drones over the past few years. Check out the recent findings on drone use with public agencies. https://www.dronerush.com/nvidia-noise2noise-drone-photos-13208/ Nvidia Noise2Noise AI is changing drone photos forever Nvidia’s Noise2Noise AI aims to get rid of grainy images forever – great news for all drone images, not just those captured on the best camera drones. https://www.dronerush.com/autonomous-racing-drones-13222/ Autonomous racing drones are the future Drone racing has taken off in recent years, with the rise of professional drone racing bodies like The Drone Racing League. Today we look at the future of drone racing and how it will change forever. https://www.dronerush.com/intel-drones-50th-anniversary-13255/ Intel’s drone shows reaching new heights on their 50th anniversary Intel did it again: To celebrate their anniversary, they’ve flown a drone swarm for a new world record. 2018 Shooting Star drones over the skies of their campus. https://www.dronerush.com/faa-100000-drone-pilot-milestone-13297/ FAA reaches 100,000 pilots and wants you to be next The FAA just hit a 100,000 commercial pilot milestone but they want you to be their next pilot. Get your Part 107 license today. https://www.dronerush.com/eu-changing-drone-laws-13337/ EU changes its drone laws, you need to know them The EU is updating their drone laws and you need to learn them. Continue reading to learn more about the new drone laws. https://www.dronerush.com/google-project-wing-graduates-x-13351/ Google’s Project Wing graduates from X, now what? Google’s Moonshot Factory has produced another graduate from X. Let’s see what Project Wing is all about, why they fly and what they have in store for the skies of tomorrow. https://www.dronerush.com/dji-spark-line-friends-xiao-bear-13395/ DJI partners with Line Friends – put a bear on your drone If you are still considering the DJI Spark, but wanted a Line Friends bump to make the plunge, now is the time! DJI Spark Line Friends edition is available.